Insurance Companies are paying claims which add up to 140% of the premium collected from Health Insurance Policies. It means claims received are much higher than the premium collected. As it is a loss-making proposition the insurance companies end up having disputes with customers, whose claims are not accepted either in full or in part. Every year large number of such cases ends up in consumer forums courts through out India. The following cases give an insight into the manner in which cases have been heard in courts and the judgements have been passed. In 1998, Mrs. Laxmi Subramanyam's had carcinoma of left breast and she got treated. 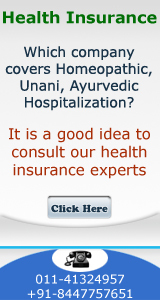 In 2001 both husband and wife took a Mediclaim policy with New India Assurance. The policy excluded carcinoma of left breast because it was pre- existing. Later, she was diagnosed with carcinoma of right breast, which was not a recurrence, according to the doctor of Tata Memorial Hospital, Mumbai, but a new case of carcinoma, so she had a full treatment at Tata Memorial Hospital. He has submitted his claim of Rs. 80,000 to the Third Party Administrator of New India Assurance Co. Ltd., i.e., Raksha TPA Private Ltd. but they rejected the claim on the grounds thats he had claimed for the left breast, which was an exclusion in the Policy. When he sent his grievance to CNBC Watch, then they got in touch with the insurance company and the company agreed to accept claim. Prior to this Mr. K S Subramanyam had written the following letter to New India Assurance Co. Ltd.
My wife and me are covered with New India Assurance Co. Ltd. for Mediclaim since May 2001. This is the fourth consecutive year we are insured, with no claims till recently. My wife had cancer on her left breast in 1993, was operated upon at Tata Memorial Hospital, had a full course of chemotherapy (in India & UAE), and was having regular check-ups at UAE till April 2001 (when we returned to India for good). There are two letters from the hospital where she was undergoing chemotherapy and regular check-ups, to the effect that as of December1998, she remains a symptomatic and free of any detectable disease. These letters were attached at the time of applying for the first Mediclaim Policy in May 2001. Still, they excluded carcinoma of the left breast and its complication in the Policy, and I had no other alternative but to agree, since only the four Govt. 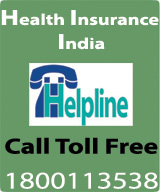 Insurance Companies offered Mediclaim. Now in December 2004, she had a small lump in her right breast and diagnosis proved it was in the very early stage of carcinoma. She had the lump removed at Tata Memorial Hospital, and as per their recommendation, underwent a full course of radiotherapy. When I submitted my claim to the Third Party Administrator of New India Assurance Co. Ltd., i.e., Raksha TPA Private Ltd., in February 2005, first they rejected the claim on the grounds that I have claimed for the left breast, which is exclusion in the Policy. This means that they have not scrutinized the claim properly, and the intention was very clear: not to admit the claim. When I wrote to them saying that the claim is not for the left breast, but the right one, now I am given to understand that they are not taking any action, as, according to them, once a person has cancer,then they don't admit any claim for the future, even if it not a recurrence. I have a letter issued by the Chief of Surgical Oncology, Tata Memorial Hospital, clearly saying that this case is a new one and not a recurrence of the old case of 1993. Nobody gives me a proper reply at Raksha TPA, and every time they say that the file is "put up for re-processing," but nothing is happening. This seems just harassing the policyholder with no intention of settling the claim. Since I have three letters (two from Oncology Consultants in UAE stating that she was free of any Detectable disease as far back as 1998, and the letter from Chief of Surgery of Tata Memorial Hospital, stating that this case is a new one and not a recurrence of the old case), I feel that Raksha TPA may not be right in rejecting my claim. I shall be thankful to have your advice on how I should proceed, in getting my claim admitted and settled. In cases of cancer the chances of recurrence is 8% to 10% higher but while taking the policy, only cancerof left breast was excluded. Moreover, the doctor at Tata Memorial Hospital has certified that right breast cancer was a fresh case of cancer, hence we grant their claim of Rs 80,000.